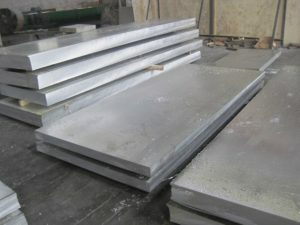 ← How to Calculate the Prices of Aluminum plate? 6061 aluminum alloy plate element content in the Cu: 0.15 ~ 0.4 Mn: 0.15 Mg: 0.8 ~ 1.2 with recent: Cr 0.25:0.04 ~ 0.35 Ti: Si 0.15:0.4 ~ 0.8 Fe: 0.7 Al: allowance.Including magnesium, silicon content is more, good workability, excellent welding characteristics and electroplating, good corrosion resistance, high toughness and processing after deformation, dense material without defects and easy polishing, coloring film easily, excellent oxidation, etc. 6061 aluminum alloy plate medium intensity, but given its processing technology, make its extensive use.Representative USES include aerospace, electrical fixtures, fixtures communication field, also widely used in automated machinery parts, precision machining, mold manufacturing, electronics and precision instruments, SMT solder, PC board vehicle and so on. Also can be seen everywhere in life, of course, the figure of 6061 aluminum plate, its corrosion resistance, high plasticity, wear-resisting performance is good, including its good color, can be used as in the production of car body structure of materials, such as doors and Windows, shelves, radiator, etc.Can be used as a practical furniture of package material.In the aspect of building can be as decorative, corrosion resistant plate, etc.Even you take the elevator at ordinary times is useful to 6061.In the manufacture of abrasive tool, can be used in injection molding, blow molding mould, low pressure mold, rubber mold, and other products. This entry was posted in Aluminum Sheet and tagged 6061 Aluminum Alloy plate, 6061 aluminum plate. Bookmark the permalink.